He died last week and he was my friend. He’d been sick for a long time, but kept living life to the fullest. The end came suddenly, shocking even those who knew he was sick. 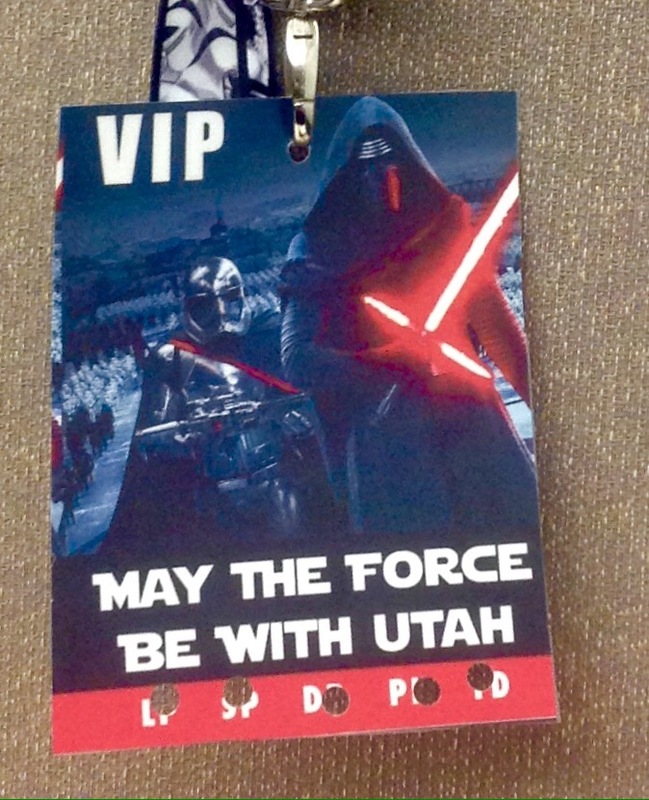 I saw him just a few weeks ago at a Star Wars premier party in Orem, UT. He died January 6th. 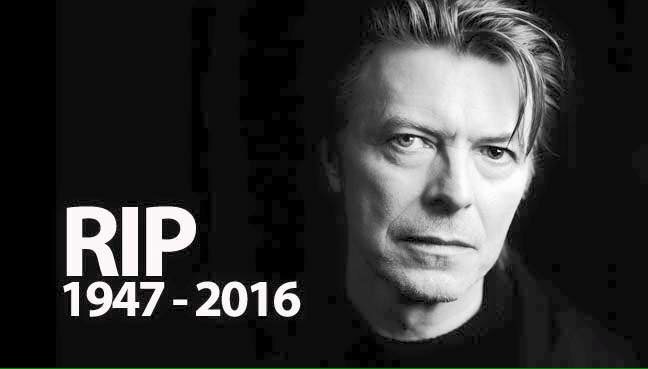 No, I’m not talking about David Bowie who tragically lost a battle with cancer recently. I’m talking instead about a man you’ve most likely never heard of, but, one of the most amazing men I ever knew. 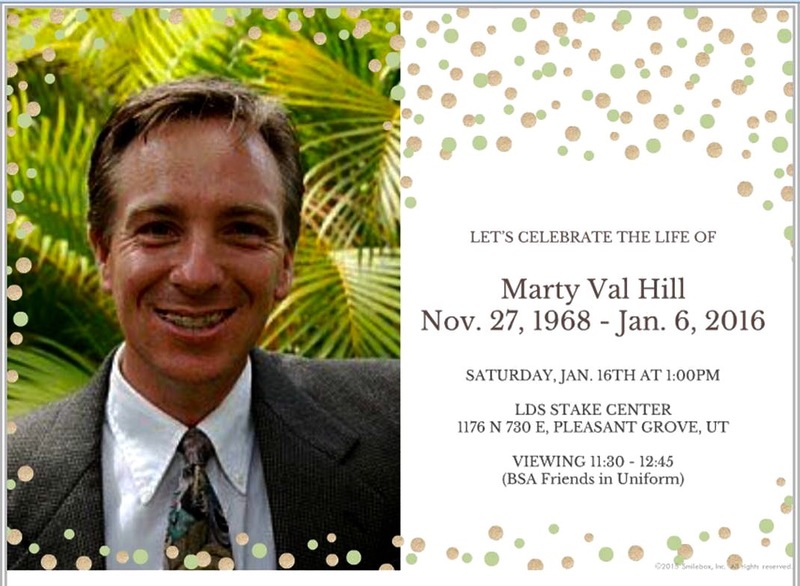 His name was Marty Hill. Like David Bowie, Marty has been sick for a very long time. He’s known he was dying for at least three years. We all know we are going to die. You, me our parents, our children. Death is the great equalizer. No one can escape him in the end. But, for most of us, we stumble through life in a state of blissful ignorance. We might be moments away from death due to an unexpected accident, or have decades left. The not knowing let’s us imagine that we will go on forever. Would you want to know the day and hour of your death? It’s going to happen someday. Would it give you a sense of relief because the uncertainty was gone? Would it inspire to you use the time you have left wisely? Or would it frighten you into immobility; too scared to do anything? Most of us don’t have to consider the greater implications. People like Bowie, and my friend Marty do. Marty didn’t know when he would die, not exactly. But, he knew death was stalking him like a middle linebacker who has correctly guessed which play the offense called, gliding across the middle, setting up to level the running back as soon as he cuts through the line. Marty and I shared a love of scouting. Several years ago, he organized a monthly lunch in Salt Lake City for men who had earned the Eagle Scout badge. I know it sounds like a somewhat select group, but Marty brought us together to swap tales of campouts gone wrong and the wonderful challenges of molding boys into men through the scouting program. I was out of work at the time and it seemed like a great networking opportunity. And it was a group of men I would have enjoyed hanging out with regardless. Marty didn’t dwell on his illness, but he didn’t shy away from talking about it either. How are you doing, Marty? I’m upright. Any day that you’re upright is a good day. So. . .is there. . .you know. . .
We were about the same age, and our kids were young teenagers and pre-teens. I didn’t see how he could do it. How do you get up every morning knowing you are one day closer to dying? And yet, we all are in that state.The difference, of course, is that Marty knew within a couple of years when the end would come. Eventually, I was hired by a local company and I could no longer attend the monthly lunches. I lost track of Marty except for the occasional social media update. It was a surprise anniversary present for my lovely wife. 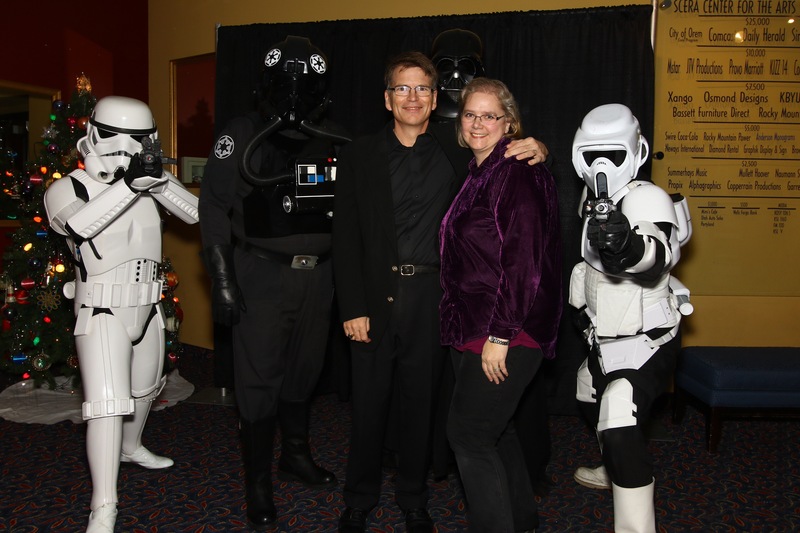 As we mingled with the rest of the VIPs waiting for the time to go into the movie, I noticed an emaciated man moving slowly through the room where the food was served. He looked both like a stranger and familiar at the same time. I cautiously approached him. Rodney, how are you doing? It’s great to see you. You too. I wasn’t sure if it was you. . . The conversation was as much about what wasn’t said as what was. I didn’t ask him how he was doing. We talked of safe topics, old friends, how we both ended up at Caleb’s party. As we parted I reminded him of the phrase, “Any day you’re upright is a good day.” He smiled without replying. And last week, the end finally came. I honestly don’t know if his illness was painful. I assume it was, but he never spoke of it. He and Caleb and I used to live in the same neighborhood and all attend church together, although we’ve moved to other parts of our little city. I know that like me, he believes that we move on from this life to a better place. I only hope that I can embrace life the way my friend did. He didn’t let the cancer keep him from engaging with friends. And even at the end when the cancer had robbed him of his strength and his body, he was still upright. Any day you are upright is a good day. Great article, Rodney. It’s so hard to see friends go and especially hard when they are our age. I’m reminded to live purposeful. Thanks, Mike. I would imagine that reunions will become harder to attend for exactly the this reason. « You Didn’t Win. Lucky You!